Later in the evening, he started discussing this with his trusted financial advisor, Kuber. “Fixed deposit interest rates are so low at this moment. How do we help our savings give higher returns?” Aditya was indeed not so happy. Kuber understood why Aditya was so upset. 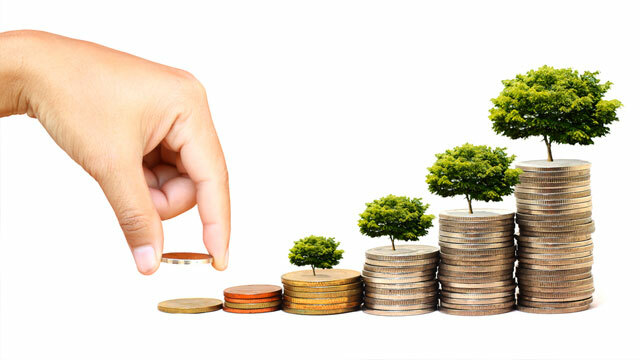 “Peer to peer lending India helps you get higher returns on your investment, certainly higher than what you can earn on the fixed deposits these days. Further, funding in P2P lending is entirely based on the preferences of the investor.” Kuber continued. “But isn’t it risky? How do I trust the unknown borrowers for my money?” Aditya was perplexed on this new investing avenue. “P2P Lending channels conduct verification for the borrowers listed with them and also do all the necessary documentation on your behalf. Further, they rate the borrowers on the basis of their earlier credit history, income profile and accordingly set the rate of interest on the loans. So, you have the liberty to choose your borrower basis your risk appetite. Further, you have the flexibility to invest for a period of 3-36 months depending on the tenor of the loan.” Kuber detailed the process in a convincing tone. “So, indeed they are similar to Fixed Deposits. In fact, I am finding it better, as I will be getting back the money invested in regular intervals through the monthly installments unlike FDs which allow me to redeem it in one shot. So, how do we go ahead with investing into Peer to peer lending India?” Aditya was now excited on investing in this. “Relax, Aditya! After we finish the cup of coffee, we will register on LoanKuber.” Kuber and Aditya were both smiling now.